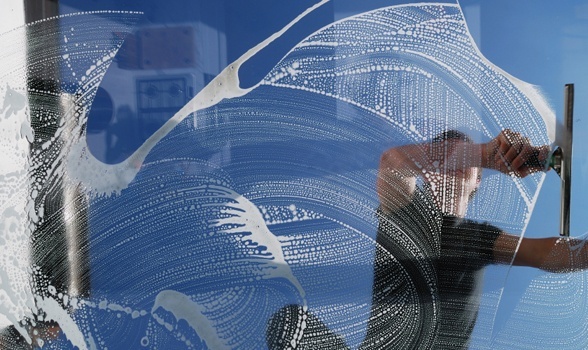 The team at Crystal Clear Window Maintenance Services has a spotless reputation. Professional, Reliable, Affordable, on-time service. We offer great customer service, reliability, flexible scheduling, and 100% satisfaction guaranteed. With years of experience, we are committed to providing the best residential and commercial services, including interior and exterior window cleaning, gutters cleaning, power washing, new screen manufacturing and repair. Family owned and operated since 1988, Crystal Clear Window Maintenance Services has been serving customers in the Seattle, Bellevue, Northern King and Snohomish county areas, providing its customers with excellent service when it comes to all their window and home maintenance needs. So, when you are in need of a professional window cleaning service in Seattle, WA or the surrounding area, call us. We'll be happy to take your call and let you know how we can help you keep your home looking good while giving you more time for those special things in your life. Crystal Clear and its staff of uniformed technicians help free up their customers time from the time consuming chores so they can spend it on those things that are more important to them. You can also take comfort in knowing that we respect your property. When working inside our uniformed service technicians wear booties and use drop cloths to protect your Floors. Outside we us padded stand offs on all our ladders to protect the exterior of your home. Your business's image is one of it's most valuable assets. Ensure your customers view your business as well-maintained and professional. Invest in your business today with a window, lighting & glass fixture cleaning. Give your home the extra sparkle it deserves. Your home will shine with an interior and exterior window cleaning, including those delicate and hard to reach glass ornaments and light fixtures. When we began Crystal Clear Windows we knew that the most important thing we could do was to offer the cleanest windows on any type of building. We've invested in all the best products and equipment so we can provide the best service for everything from small residential homes, to Seattle's largest businesses. Since we got our start we have been constantly upgrading and adding to our services so we can be known as the best cleaners in the business. We know how important it is to offer exceptional customer service. We have trained our professional crew to provide the best services in the industry as well as provide the extra care our customers expect. This means we will always work hard to get your job done without interrupting your everyday business. We will keep our supplies out of the way and work around your schedule, so you can have the best looking windows while continuing to focus on your business. In the spring of 1988, Mr. Robert Hacker established Crystal Clear Windows, opening his first Seattle office in Lynnwood, WA. Robert is a window cleaning professional who has worked at several cleaning companies, doing residential and commercial high-rise window cleaning in NYC prior to the opening of his own business. As the owner of Crystal Clear Windows, Robert believes that his experience and knowledge in the field will help him set his window cleaning company apart from competitors, guaranteeing professionalism and perfection. Crystal Clear Windows has a spotless reputation. We know nothing is more important than the satisfaction of our customers. By offering exceptional customer service through clear communication, trustworthiness, and consistency- Crystal Clear Windows has already built a reputation that speaks for itself. Our team is proud to be made up of experienced window maintenance experts who’ve been in the game for decades, helping people make the best decisions about their needs, present and future. Along with that experience, our team has built a solid reputation of excellence in their quality of service, from their expert insights to their deep care for their clients. Our team is the ideal blend of people brimming with the knowledge and insight that you need to secure the best services possible.